Act for Buffalo: Repeal and Replace! The 2019 Montana legislative session began January 7 and will run through May 1. We will update this page as legislative developments take shape. You can leave messages for up to 5 individual legislators or 1 legislative committee at the Session Information Desk (406) 444-4800. The Session Information Desk is open 7:30 a.m. to 5 p.m. Mondays through Fridays and from 8 a.m. to adjournment on Saturdays. BILL DESCRIPTION: As amended, buffalo must meet all three following conditions under HB 132 to be wild: “has not been reduced to captivity,” “has never been owned by a person,” and “has never been subject to the per capita fee under 15-24-921,” a fee enacted in 1915 to enforce livestock laws. HB 132 tries to define wild buffalo out of existence: none would exist as wild or be recognized as wild under state law. STATUS: HB 132 was delivered to the Governor (April 10, 2019). Please contact Montana Governor Steve Bullock and ask him to veto HB 132. 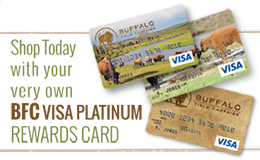 BILL DESCRIPTION: HB 332 would require the approval of county commissioners (in all affected counties) for any proposal to transplant or relocate wild buffalo or bison. HB 332 would prevent the release, transplant or relocation of wild buffalo or bison unless specific findings were made by a board of county commissioners that it does not threaten the public health, safety, and welfare of citizens, is “consistent with the elements of a growth policy” adopted by the county, and the animals are certified brucellosis-free. 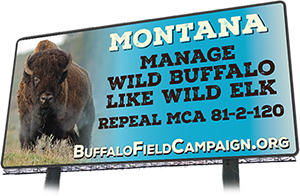 HB 332 would permit any one board of county commissioners to usurp state authority over any proposal to relocate wild buffalo in Montana. STATUS: HB 332 has passed and will soon be delivered to the Governor. Please contact Montana Governor Steve Bullock and ask him to veto HB 332. HOUSE WEBCAST: http://sg001-harmony.sliq.net/00309/Harmony/en/PowerBrowser/PowerBrowserV2/20190214/-1/33539 (Hearing begins at 17:22:50). “I’m here today to state the Fort Peck Tribes opposition to HB 332 because it is another example of discriminatory legislation regarding buffalo and Montana tribes.” - Rick Kirn, tribal council member for the Assiniboine Sioux Tribes of Fort Peck (House testimony at 17:34:30).